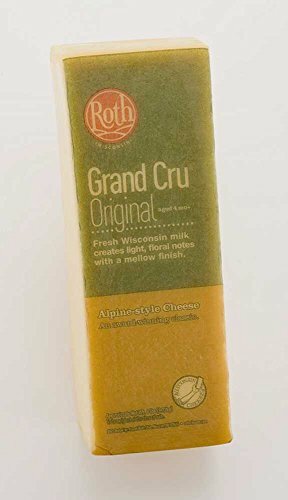 Grand Cru Gruyere King Cut Loaf Cheese, 6 Pound -- 2 per case. Nutty, rich, full-bodied flavor. Firm texture with a few tiny eyes. Surface-ripened with inedible brown rind. Shred for fondue, baked dishes, melting on onion soup.